Dungeon Defenders II recently introduced Multiplayer Bonuses to reward players with loot in their victory chest. There were a few problems with the new feature that have now been addressed. A new patch has made its way to Trendy Entertainment's Dungeon Defenders II. Their recently released expansion, "Protean Shift", is the full focus of the update. Protean Shift adds a variety of new gameplay features and systems. The latest developer stream looked at the upcoming Mods and went into detail on the stats changes that will be made with the update. The next expansion in the Dungeon Defenders II universe is nearly here. Titled 'Protean Shift,' it will feature new rewards and new Expeditions in one of the biggest expansions to hit the game. We now have the list of PS+ titles for March 2018 and it includes some big titles. However, we also have some upcoming subscription changes to announce. The Power of the Ancients expansion for the game is releasing in December, so we've been treated to an hour long stream of the game to highlight some of the new additions. A new patch has been released for Dungeon Defenders II, the free-to-play title from developer Trendy Entertainment. Patch 1.2.2 will come with altered Mastery, general balance changes and bug fixes. If Dungeon Defenders II is your game of choice this weekend, your progress will be expedited thanks to a double XP weekend that is live now. If you missed out on last weekend's Dungeon Defenders II double XP event, then you're in luck. Another one is already scheduled to go live very shortly. Ahead of Patch 1.0.3's release for Dungeon Defenders II, developer Trendy Entertainment took to their Twitch TV channel to stream a preview of the upcoming title update. 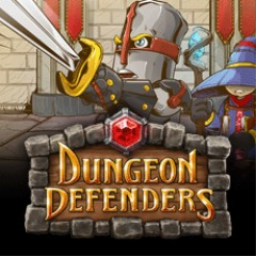 The first Dungeon Defenders game with trophies was Dungeon Defenders, which was developed and published by Trendy Entertainment and released on 19 October 2011. 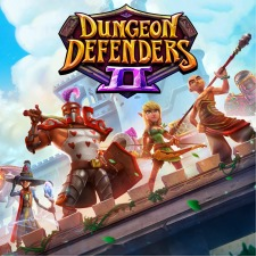 Since then there has been 1 more game in the series with trophies - Dungeon Defenders II which was developed and published by Trendy Entertainment and released on 20 June 2017. The next Dungeon Defenders game scheduled for release is Dungeon Defenders: Awakened for PlayStation 4, which has a release window of October 2019.